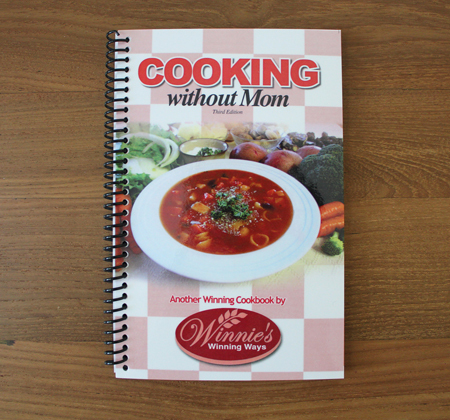 When Mom’s not there… this book is for you! Whether you’re a teen who’s just moved out, a husband, bachelor, son or daughter who needs to make a meal or a newly married couple looking for easy, simple yet delicious recipes, you will find this cookbook helpful and easy to use. Includes recipes that use up leftovers to create another delicious meal. Recipes are created so they are delicious & nutritious. Has shopping, food storage, cleaning & setting up housekeeping hints. Helps readers save on their grocery spending, yet eat healthy foods. Besides the recipes there are pages of hints on budgeting, planning meals, preparing basics ahead, kitchen utensil & appliance needs, household hints, shopping, using a microwave, metric conversion, Canada Food Guide plus many food ideas throughout the book.